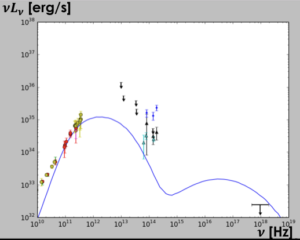 Beta model spectra from 1010 Hz microwaves to 1019 Hz x-rays for β = 0.01 (left), 0.1 (middle) and 1 (right). 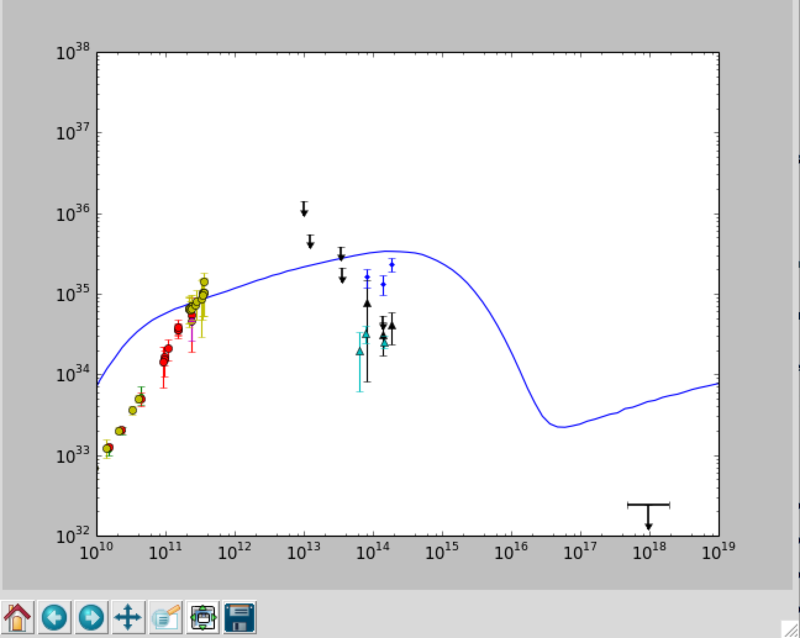 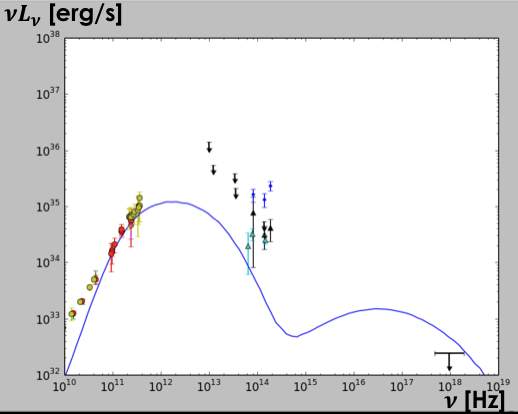 Bias model spectra from 1010 Hz microwaves to 1019 Hz x-rays for N = 0 (left), 2 (middle) and 4 (right). 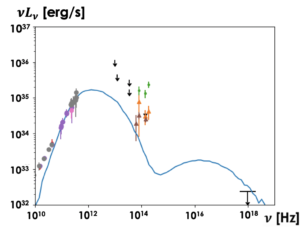 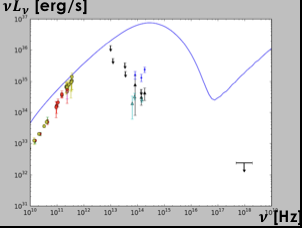 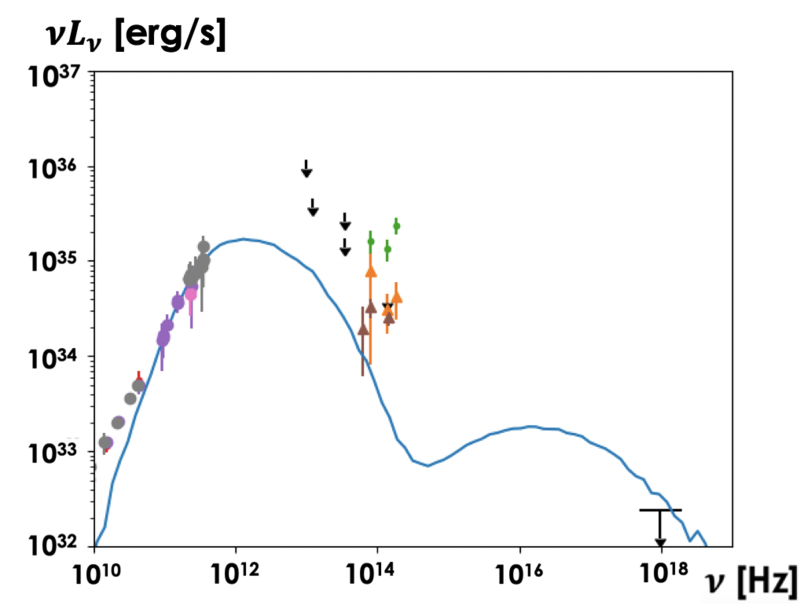 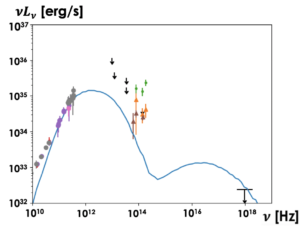 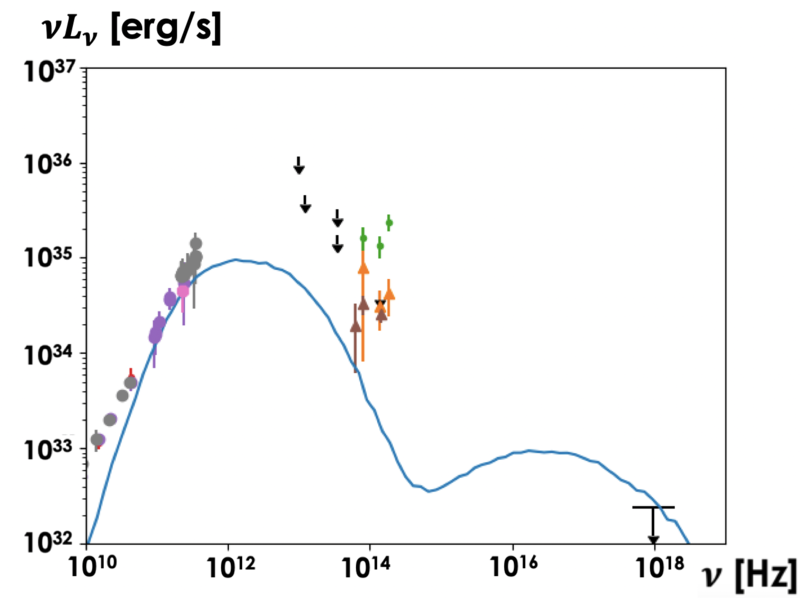 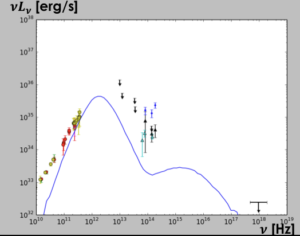 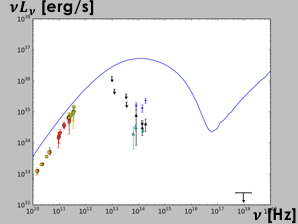 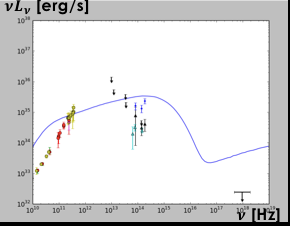 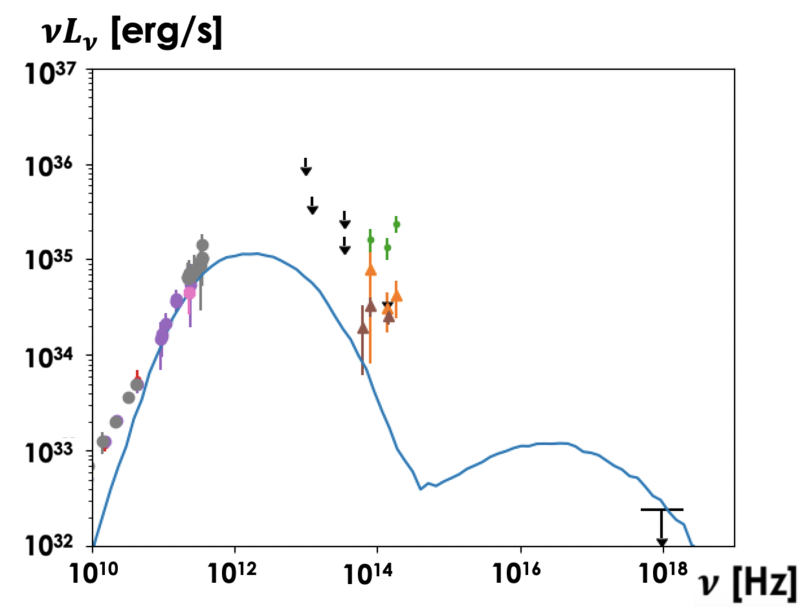 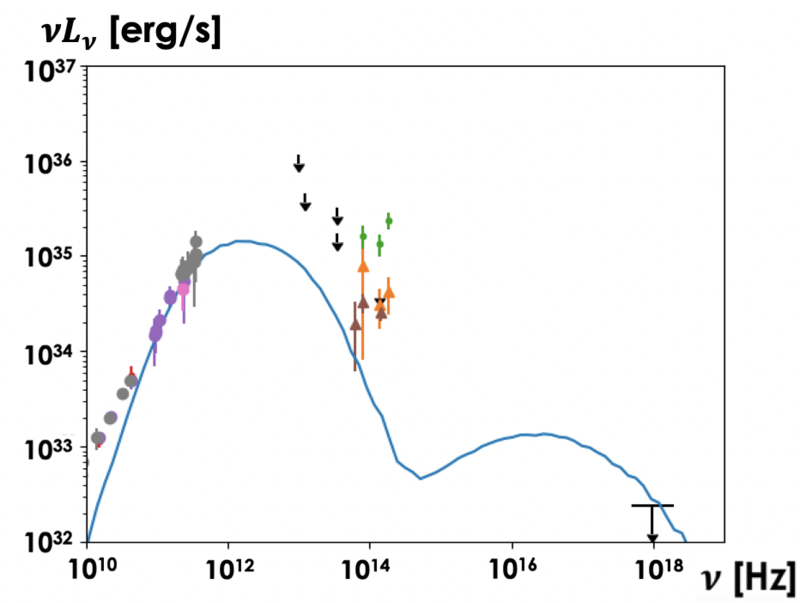 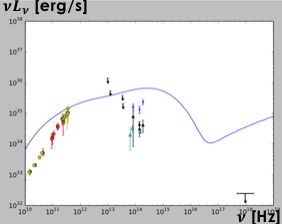 The temporal evolution of spectra for the model (fe ,βc)=(0.5,1) is shown below for a few simulation times.